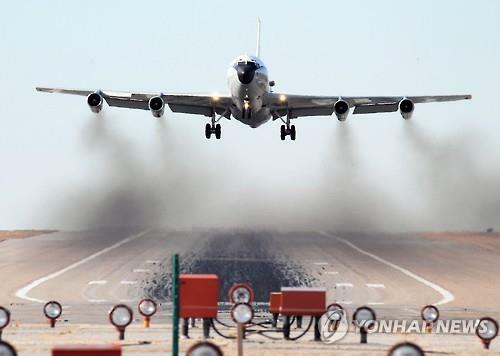 SEOUL, April 20 (Yonhap) — The U.S. Air Force dispatched a nuclear sniffer aircraft Thursday to the east of the Korean Peninsula amid the possibility of North Korea’s imminent nuclear test, a government source said. “The WC-135 Constant Phoenix, a special-purpose U.S. plane, made an emergency sortie today over the East Sea,” the source said, requesting anonymity. Its mission is to collect samples from the atmosphere in order to detect and identity a nuclear explosion.